After a meeting at an Australian literary festival brought them together in 2008, novelists Paul Auster and J. M. Coetzee began exchanging letters on a regular basis with the hope they might âstrike sparks off each other." 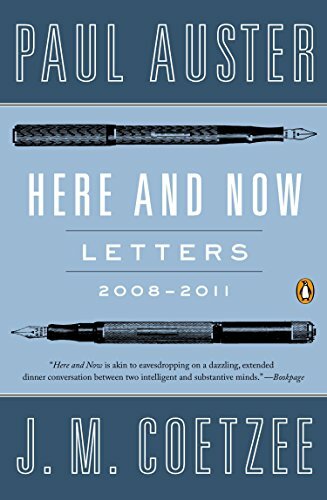 Here and Now is the result: a three-year epistolary dialogue that touches on nearly every subject, from sports to fatherhood, literature to film, philosophy to politics, from the financial crisis to art, death, eroticism, marriage, friendship, and love. Their high-spirited and luminous correspondence offers an intimate and often amusing portrait of these two men as they explore the complexities of the here and now and reveal their pleasure in each otherâs friendship on every page.